In a food processor or blender, process 3 of the tomatoes, onion, chilies, ginger, and garlic until smooth. Set aside. Heat oil over medium-high heat, then add the cumin, coriander, and fenugreek. Let the spices toast and flower, stirring constantly in the oil, for about 1 minute. Add the processed ingredients, increase heat to high, and fry until the “fresh” onion smell subsides, about 5 minutes. 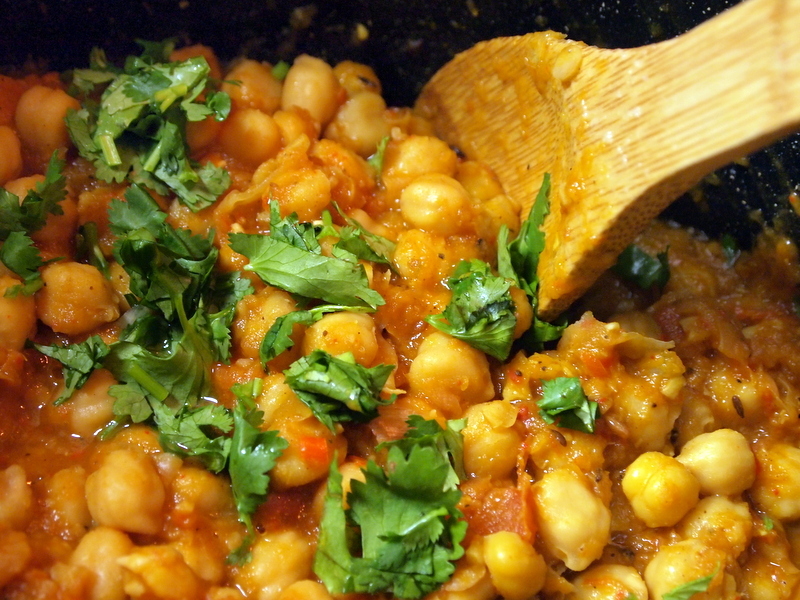 Add the chickpeas, remaining tomato, turmeric, and sugar. Reduce heat to medium-low, cover, and simmer for about 20 minutes. Add the garam masala, lime juice, and season with salt to taste.